While attending a Black History Month celebration in city hall’s conservatory on Friday, Patrick Brown was served with an $8 million statement of claim from Finance Minister Vic Fedeli alleging the Mayor had committed libel in his recently published tell-all memoir. “The mayor did receive a statement of claim this afternoon at a public event at city hall and the mayor continues to stand by his book that he has written,” Director of Communications for the mayor, Gary Collins, told The Pointer. The allegations are over portions in the mayor's expose, Takedown: The Attempted Political Assassination of Patrick Brown. Fedeli's claim centres on details in the book about misconduct accusations allegedly made by a female Queen’s Park staffer against Fedeli around the time Brown was leader of the PC party. The documents also name Brown’s publisher Dean Baxendale, owner of Optimum Publishing International. The finance minister is seeking $8 million in damages over the allegation. “The respective defendants have maliciously defamed Fedeli, making and widely publicizing a series of allegations and timed to cause maximum damage to his reputation,” the statement of claim says. Fedeli mentioned that he had filed the documents on Thursday, however, Brown had told the media at the time that he had not received them yet. The claim was served on Brown Friday during an event at Brampton City Hall celebrating the start of Black History Month across Canada. In early January, Fedeli issued a notice demanding that Brown and his publisher, Optimum Publishing International, retract the statements made in the book regarding an alleged complaint at Queen’s Park by a female staffer against Fedeli and issue an apology. Neither of the demands have been met. Last month, after Fedeli first made his legal threat, Baxendale downplayed the accusations in the book. 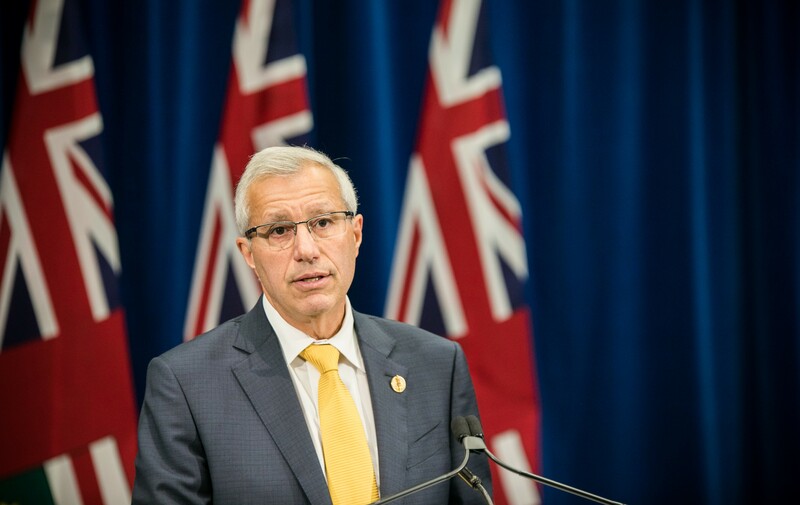 “We are not alleging anything against Mr. Fedeli in the book and simply provided an anecdotal story that was illustrative of... [Fedeli’s] perceived hypocrisy at Queen’s Park,” Baxendale told The Pointer regarding a letter he had received from the finance minister’s lawyer at the time. “I understand that the central claim is that he is upset that the book referenced a claim that was made against him,” Brown told the National Post, before actually receiving the action. “I would note that the CBC and Global have already independently verified that a claim was made against him. I am not saying whether the claim was accurate or not but a claim was made so the fact that he would want that removed is a little perplexing,” Brown told the newspaper. Brown wrote in his tell-all memoir that when he was PC party leader a staffer confided in him when she passed a note onto his desk about the alleged incident. “She accused Fedeli of inappropriate behaviour. The letter had been left on my Queen’s Park office desk. While, frankly, the accusations were not anything I could picture being consistent with Fedeli’s character, my personal assessment of him was obviously irrelevant and not enough to disregard the allegation,” Brown wrote in the book. “Throughout my career, I have held myself to a high ethical standard in my interactions with others. There is no validity whatsoever to any of these allegations. Any accusation or insinuation to the contrary is false and malicious,” Fedeli told Global News. MacLeod had also come out against Brown, claiming he had suggested that she feigned mental health issues in order to gain sympathy. However, in the book it does not state that. Brown only pointed out what had been suggested by other PC party higher-ups. Brown actually overruled those who had tried to sideline MacLeod. Brown’s own $8 million defamation lawsuit is still ongoing as well. In April of 2018, Brown filed a statement of claim against CTV alleging that the outlet’s reporting about accusations of sexual misconduct were, according to his lawyer, “the most egregious in Canadian history. It is unlikely that the harm done by CTV will ever be fully repaired.” CTV has denied the allegations in the statement of claim by Brown and has defended its reporting. Brown was forced to resign as PC party leader a little over a year ago as a result of the accusations.